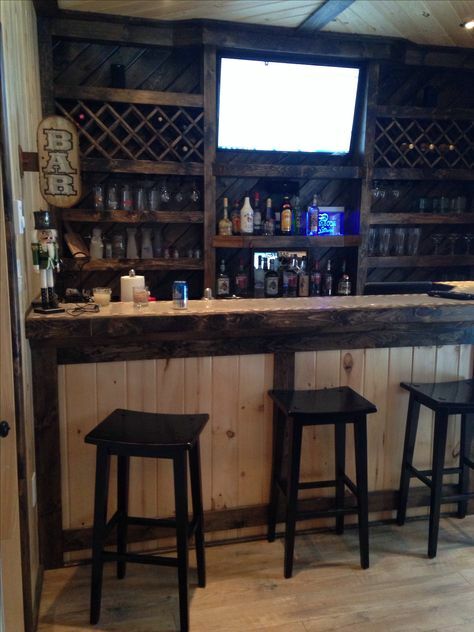 If you looking for some of the best man cave bar ideas from around the web your in the right place. 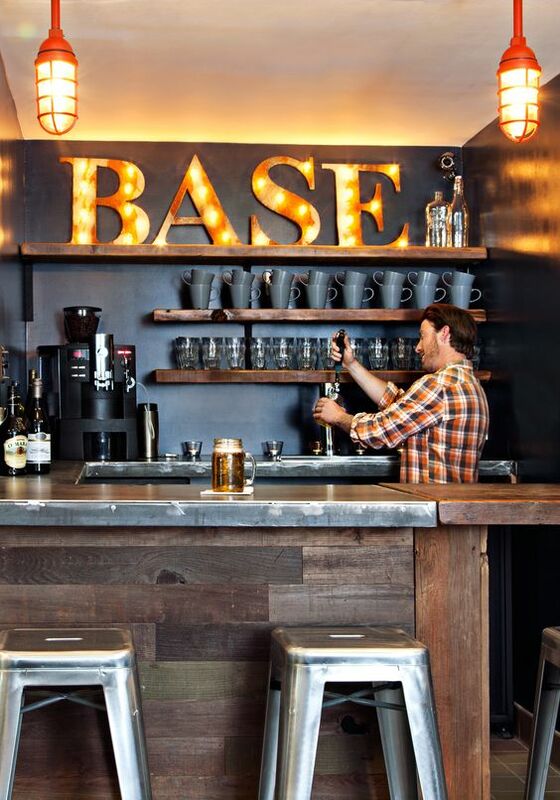 This photos of bars will leave you inspired! 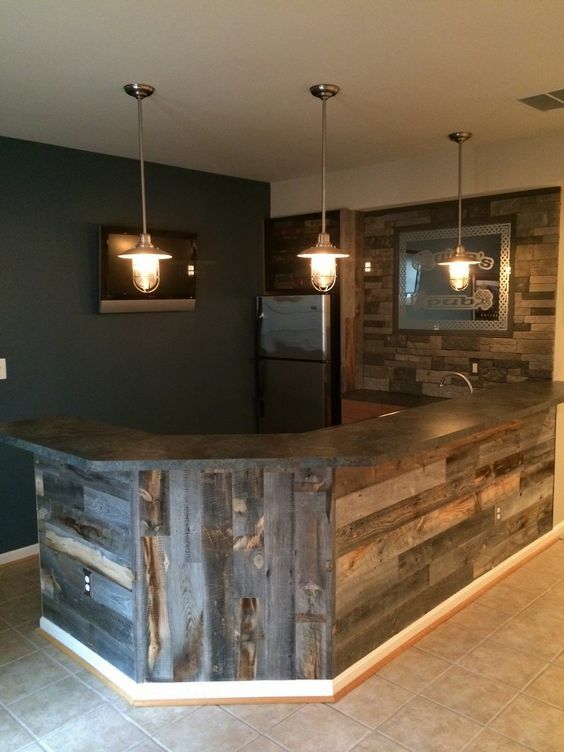 Are you building your man cave and looking for man cave bar ideas? 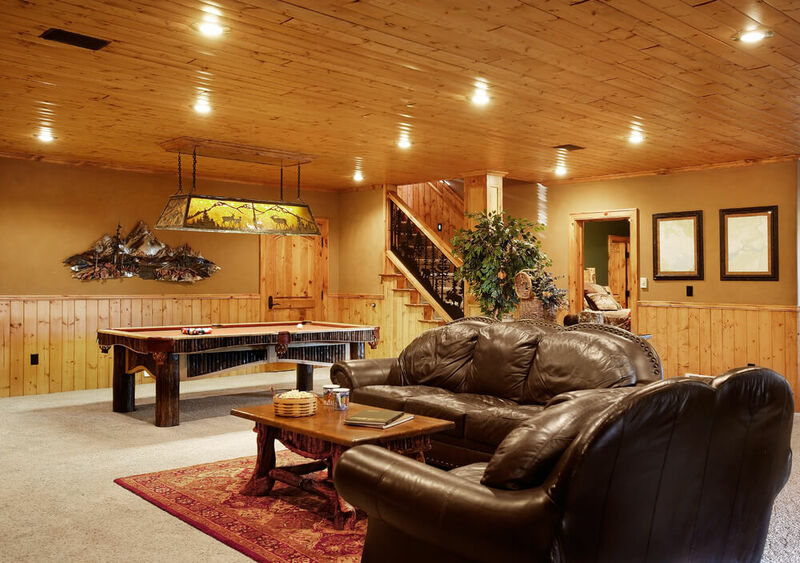 After creating an awesome room for you and your friends to hang out in with the Big Screen TV, the Cool Neon Signs and Posters and possibly even a Basketball Hoop or Mini Goal Post among other Man Cave Stuff you’ll want to be able to have fun, be comfortable and relax man cave style. You’ll want to relax in style whether it’s with friends sitting back watching the big game or by yourself. 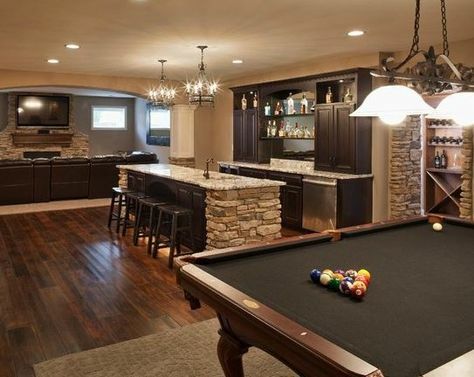 And that leads us to the first type of Man Cave bar ideas that can turn an average man cave into a great man cave. In a recent trend many diy enthusiast are using old wood and fencing for anything from accent walls to headboards. So why not use that same idea for you man cave bar. Old fencing provides a unique look and is fairly easy to get a hold of. These shelves are a great idea for a small nook style man cave bars. A great place to display cups, alcohol or a custom man cave sign. Bar stools are a very important part of any mancave. These bar stools can get quite pricey, but are totally worth the investment if hanging out by the bar and enjoying drinks with your friends are high on your priority list. 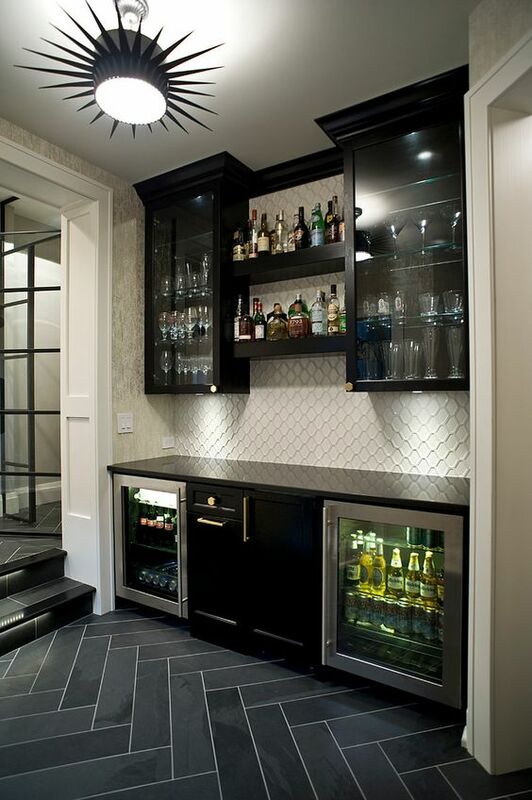 A built in wine cooler or small fridge is an easy upgrade to almost any cabinet with in your bar. These can be easily found online or at your local home good store like home depot. What is any great man cave without a bar sign that stands out and gives your bar a unique look and feel. 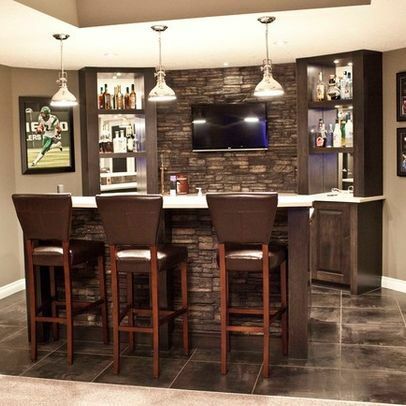 If your wanting to watch the big game of fight while hanging out at the bar, a great man cave bar ideas is to hang a flat screen tv behind the bar. 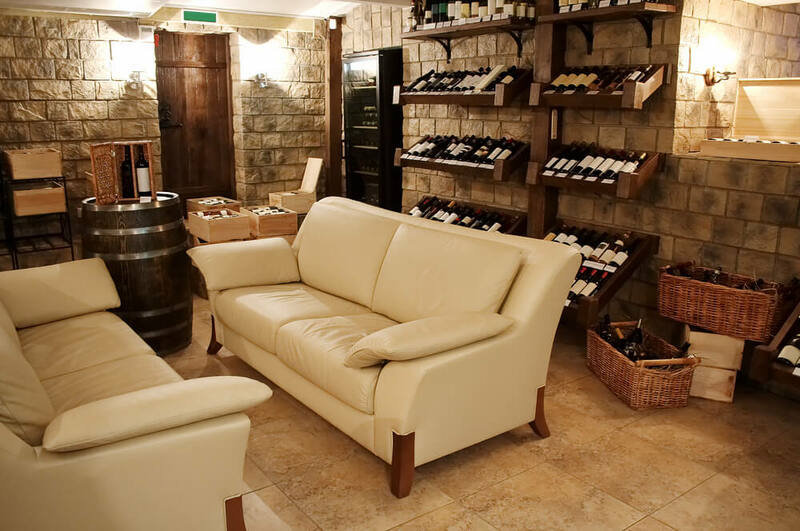 This is a great focal point for any bar and will bring lot of enjoyment. If you don’t have anything on tv, simply switch over to a music channel or and an apple tv box for loads of content on demand. 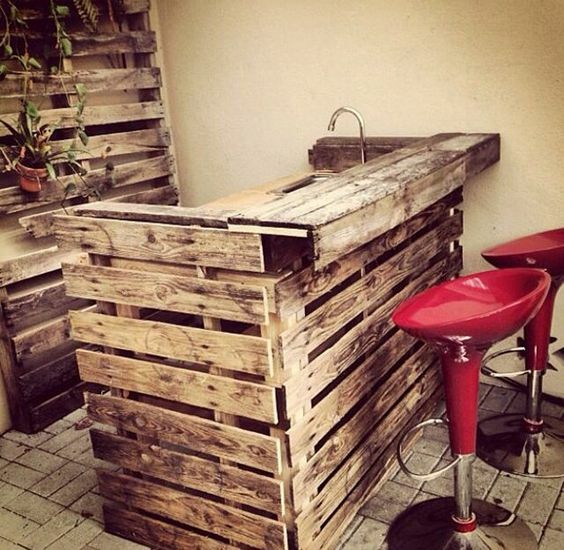 If you are building your man cave bar on a budget and need a quick and cheap way to finish off your bar, consider finding some old shipping crates or shipping pallets to build your bar with. 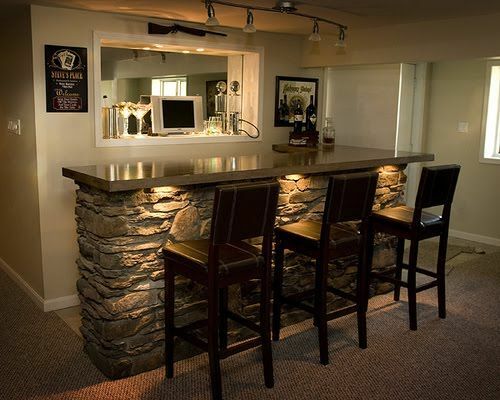 This is on of our favorite man cave bar idea. Find an old tail gate at a Pick and Pool or Craigslist. Then simply build out a frame on the wall and attach with hinges and chain. 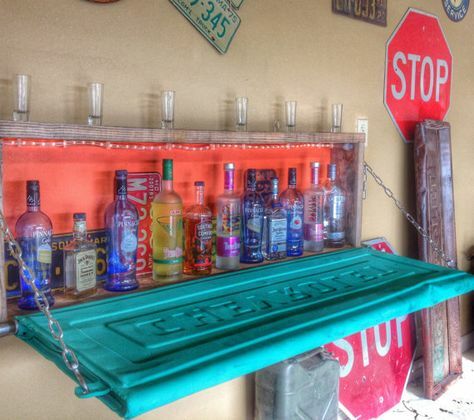 A great way to hide alcohol bottles if you bar is not going to be a focal point in your room. Let face it many men like to hunt. 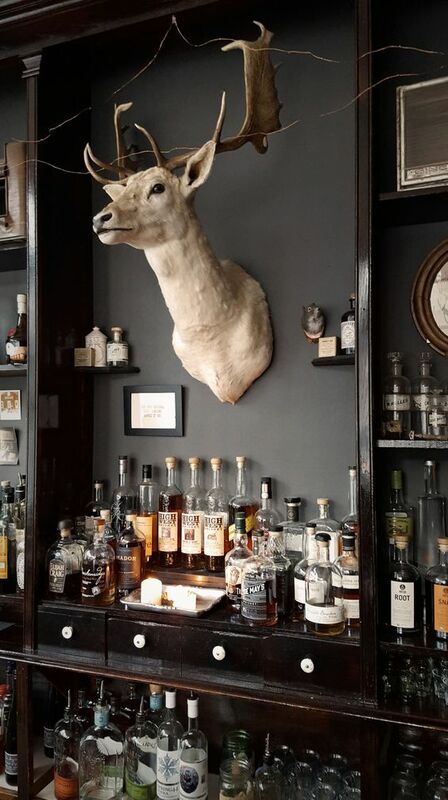 Why not take your hunting trophy down to the bar for a unique decoration, but maybe even a better conversation starter with your new friends. For a western style, simply find some used wood and decorations from a antique store. 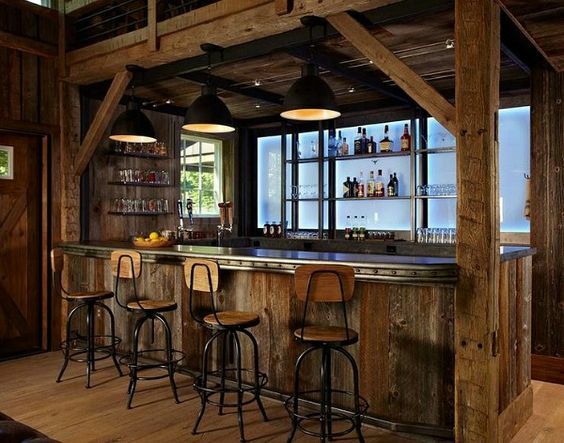 Old barn wood and beams really make this bar look authentic and a great way to transport you and your friends to a different era. Nothing says man cave sports bar more than adding sport memorabilia. This can be anything from posters, pictures, to frames jerseys of your favorite athletes. 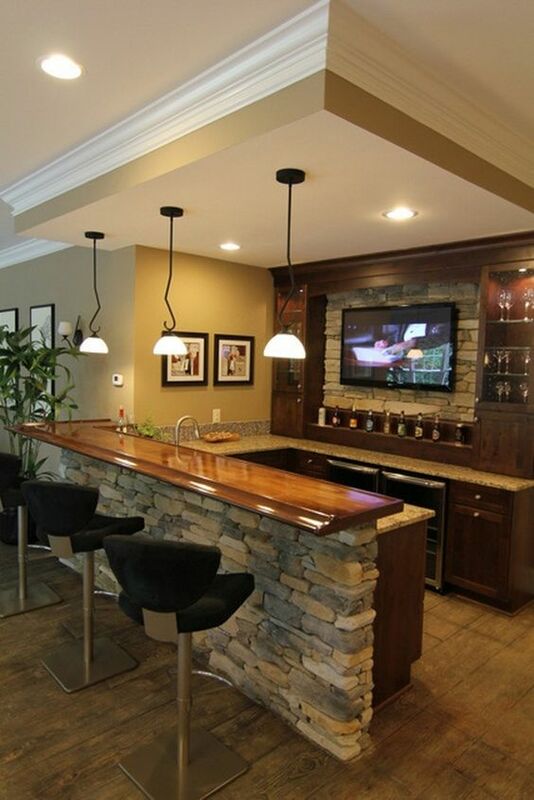 Stone or brick is a great way to finish off the face of your bar. Notice the under lighting that helps accent the stone by skimming the light from top to bottom. 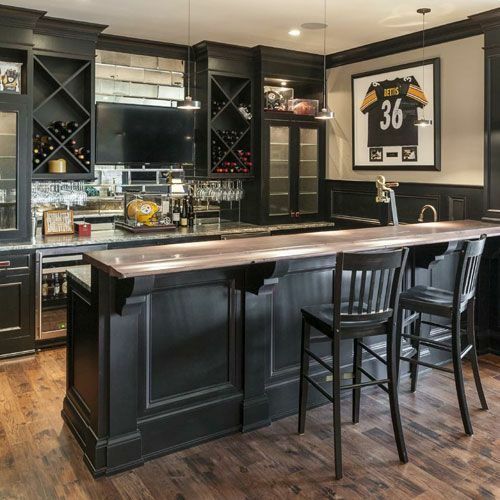 Now you have a lot of Great Man Cave bar Ideas when it comes to furnishing your room. You need to decide how you want to theme your room to make it even more special and personalized. 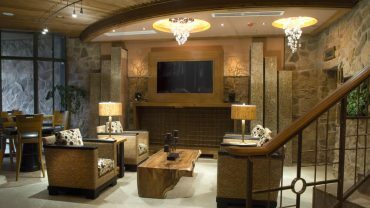 Because when it comes to Man Cave’s, personalization is almost always one of the coolest and most fun ways to go.